As you may be aware, my ‘Making Bryanston Beautiful’ project has been underway for a few months. During the winter season the guys cleared away many neglected pavements and islands around Bryanston. Thank you to all the residents who called to point out areas that needed attention. I am so excited that spring is here and we are now ready to start planting and brightening up these areas. 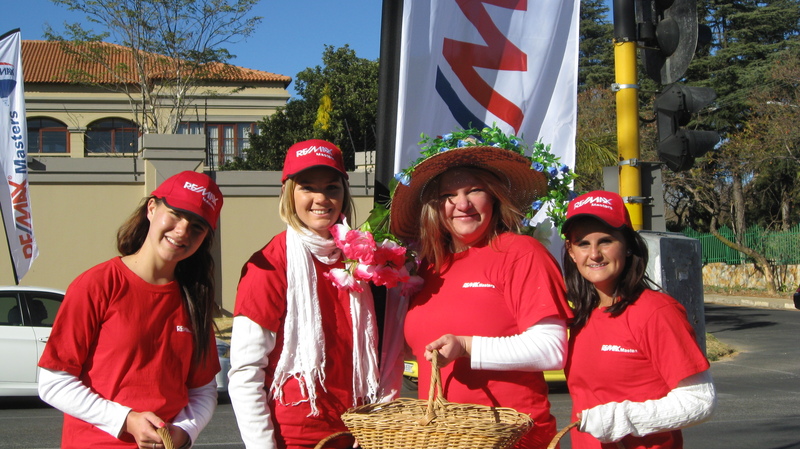 After our intersection promotion at the corner of Mount and Bryanston Drive on Monday, 2 September, we have already had a great response from residents who have invited us to help ourselves to plants. (It’s like going to the nursery and not having to pay). Most gratefully, we featured in last week’s Sandton Chronicle (w/o 6 Sept edition page 13) and again in today’s edition. Before we start planting, we are going to wait until the first rains to give the areas a good soaking and give the plants a fighting chance. These areas do not have access to water or irrigation so the rainfall is vital. 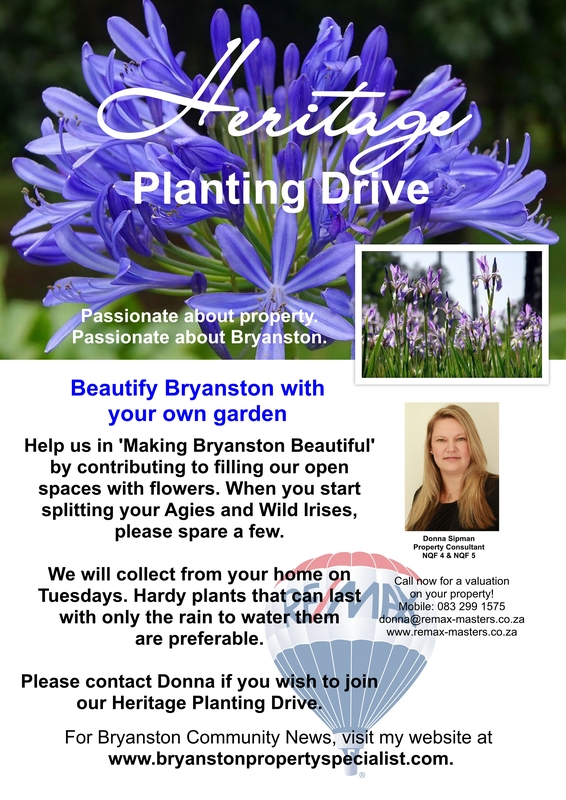 Please contact me if you would like to help make Bryanston the stunning suburb it should be. PS – We are looking for compost donations too, please let me know if you can help. 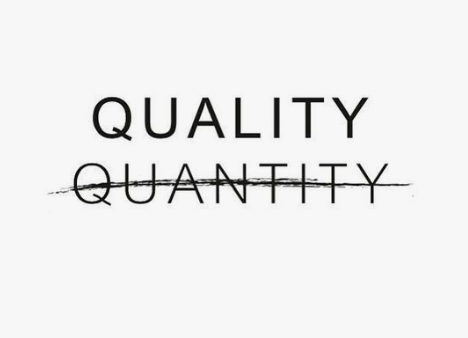 If you are looking for a Real Estate Agent with a difference, please read about Donna and feel free to view my profile on LinkedIn.